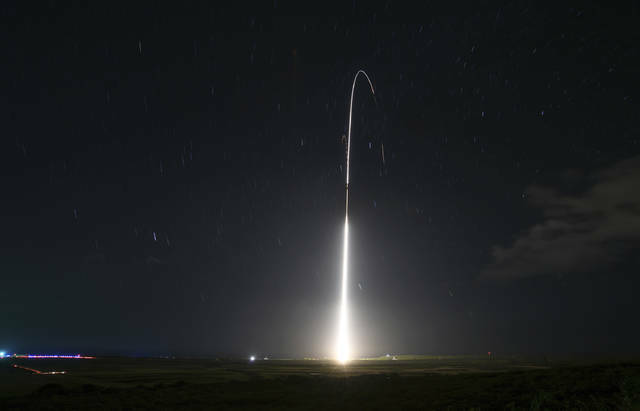 WASHINGTON (AP) — The Trump administration will roll out a new strategy for a more aggressive space-based missile defense system to protect against existing threats from North Korea and Iran and counter advanced weapon systems being developed by Russia and China. VALLEY FORGE, Pa. (AP) — When he lost his job running a mutual fund company after stocks tanked in the early 70’s, John C. Bogle decided that money managers knew very little about predicting the market — and charged way too much for that lack of knowledge. He founded a new fund company, Vanguard, in 1974. Two years later, Vanguard introduced the first index fund for individual investors — a vehicle that simply tracks the performance of an index like the S&P 500. It was no frills and enabled investors to avoid the higher fees assessed by professional fund managers who frequently failed to beat the market. The fund, called First Index Investment Trust, was derided for years as “Bogle’s folly.” Critics maintained that it aimed only for mediocrity and missed moneymaking opportunities outside the index’s narrow focus. Bogle, who died Wednesday at the age of 89, and Vanguard eventually won investors over. That initial fund is now the Vanguard 500 Index fund with $400 billion in assets. It is no longer Vanguard’s biggest fund, but remains among the company’s lowest-cost offerings. Shareholders are charged annual operating expenses of $4 for every $10,000 invested — a fraction of the $100 and up that actively managed mutual funds may charge. And although his name wasn’t as widely known as Warren Buffett’s, Bogle won followers who dubbed themselves “Bogleheads” and who invested in index funds for the long haul. Bogle served as Vanguard’s chairman and CEO from its founding until 1996. He stepped down as senior chairman in 2000, but remained a critic of the fund industry and Wall Street, writing books, delivering speeches and running the Bogle Financial Markets Research Center. “In effect, Vanguard rebates to its owners the enormous profits that other investment managers sock away for themselves,” Bogle said in a 2005 speech. Index funds gradually chipped away at the once-dominant market position of actively managed funds, a trend fueled by performance data that consistently shows index funds produce better returns than a majority of managed funds, after costs are factored in. Actively managed funds still control more in total dollars than index funds, but the trend is clear. In 2017, investors plugged $691.6 billion into index funds while pulling $7 billion out of actively managed funds, according to Morningstar. The best approach, Bogle maintained, is to inexpensively invest in lots of stocks through diversified index mutual funds, and hold them for decades, rather than trading in and out as the market shifts. More investors have bought in, and Vanguard, based in Valley Forge, Pennsylvania, managed $4.9 trillion globally at the end of 2018. “Jack Bogle made an impact on not only the entire investment industry, but more importantly, on the lives of countless individuals saving for their futures or their children’s futures,” said Vanguard CEO Tim Buckley in the statement announcing Bogle’s death. Bogle spent the first part of his career at Wellington Management Co., a mutual fund company then based in Philadelphia. He rose through the ranks and, in his mid-30s, was tapped to run Wellington. He engineered a merger with a boutique firm that was making huge sums, but was ousted after the stock market tanked in the early 1970s, wiping out millions in Wellington’s assets. He said he learned an important lesson in how little money managers really know about what the market will do. He chose the name in honor of the HMS Vanguard, Lord Nelson’s ship in the British victory over the French in 1798. During his tenure at Vanguard, Bogle suffered several heart attacks and underwent a heart transplant in 1996, the year he stepped down as CEO. He reached the mandatory retirement age of 70 for Vanguard directors in 1999 and left as senior chairman the next year following a dispute with then-CEO John Brennan and the board over whether he could stay on. Bogle became president of the Bogle Financial Markets Research Center in 2000, which served as his bully pulpit. He spent his days answering fan mail, preparing speeches, writing books and appearing as a commentator on television. In 2004, Time magazine named Bogle as one of the world’s 100 most powerful and influential people. Five years later, he personally filed a friend-of-the-court brief in a fund fee case that came before the U.S. Supreme Court. John Clifton Bogle was born in May 1929 in Montclair, New Jersey, to a well-off family; his grandfather founded a brick company and was co-founder of the American Can Co. in which his father worked. The stock market crash five months after his birth and the ensuing Great Depression, however, shuttered the family business and forced the family to sell its home. Bogle attended Manasquan High School in Manasquan, New Jersey, for a time, then got a scholarship to the prestigious all-boys Blair Academy in Blairstown, New Jersey. It was at Blair that Bogle discovered his knack for math. He graduated from Blair in 1947 and was voted most likely to succeed. Bogle graduated from Princeton with a degree in economics in 1951. His thesis was on the fund industry, which was then still in its infancy. Vanguard did not provide a cause of death. Philly.com is reporting he died of cancer, citing Bogle’s family. Bogle is survived by his wife, Eve, six children, 12 grandchildren and six great-grandchildren. AP Business Writer Marcy Gordon contributed to this report from Washington.